We should like to thank the Swiss Chairmanship for the choice of topic for today’s discussion. The Euro-Atlantic region is experiencing a serious crisis, and it is vital to find a way out of it. A way forward can only be found together, and only if we draw the right conclusions from the lessons of the past. All of our experience in recent years demonstrates that unilateral approaches and the failure to recognize mistakes will not get us anywhere. A meeting with US Secretary of State John Kerry lasted an hour and a half. We discussed progress at the talks on Iran’s nuclear programme. This is the key priority considering the time factor and the agreement to reach a final compromise before 24 November this year. 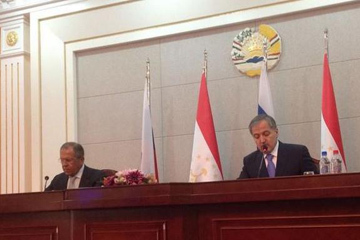 Our deputies are working in the region, in Muscat, together with an Iranian representative. They are discussing concrete issues that need to be settled to formulate a final agreement. 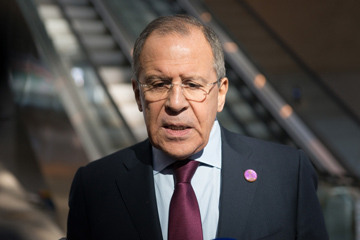 Russia and the United States are resolved to do our best to achieve this target by the agreed date. We will attempt to find solutions to the remaining two or three issues. 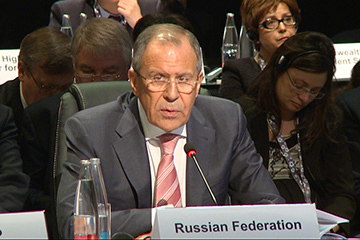 A conference on peace and security in Iraq attended by foreign ministers from about 30 countries has opened in Paris. The participants include top officials from countries of the region, such as Iraq (President Fuad Masum and Foreign Minister Hoshyar Zebari), and representatives of states that are cooperating with Iraq and other states of the Middle East and North Africa in combating the terrorist threat. 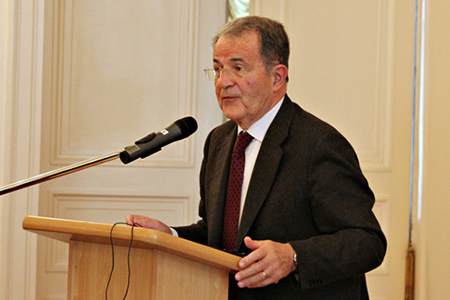 We have drawn the attention of the participants to the fact that we have been talking for a long time about terrorist manifestations that have become markedly more frequent in the Middle East and North Africa after the Arab Spring, when the aim of overthrowing regimes was raised above the common goal of preventing the spread of the terrorist threat. We have done this not for the sake of allocating guilt, but only in order for the world community to fully consider the lessons of the past in planning future actions. It is essential to realise that there should be no double standards in the fight against terrorism. There are no "good" and "bad" terrorists. It is necessary to be consistent and not to make one’s own priorities more important than the common goal of fighting terrorism. Today we have deemed it useful to meet and talk about the developments surrounding Ukraine’s humanitarian crisis, primarily in its southeastern regions. As you know, the humanitarian convoy that Russia sent to the Lugansk Region finally reached its destination after days of hardship, coordination, negotiation and re-negotiation. Today this relief will start to be distributed with the participation of representatives of the International Committee of the Red Cross (ICRC). I can fully share your assessments, which have just been stated by the Minister of Foreign Affairs of the Republic of Kazakhstan, Erlan Idrisov, with regard to the negotiations in Ust-Kamenogorsk today. We have good impressions from visiting this part of Kazakhstan – the city and the Province, where the multinational nature of the Kazakh people is clearly visible. We value this multinational nature, because we are also such a state and are interested that everybody lives in peace and consent with each other. As friends, we talked about this in detail and fairly today. We have reviewed the course of the implementation of the agreements reached between the presidents of our countries, who meet very frequently – there were three meetings this year only and no less contacts are yet to come this year. First of all, I would like to thank our Tajik friends for their warm hospitality and good organisation of our work. The issues relating to the preparation for the summit of the Shanghai Cooperation Organisation, which will be held on the 11-12 September in Dushanbe, and filling it with content, were the focus of attention at our meeting today. The session of the Council of Heads of Member States (CHS) will be held against the backdrop of the uneasy situation in the world. The establishment of a new polycentric model of the world order is accompanied by the intensification of global competition, which is frequently unfair and aggressive, rivalry in the area of value landmarks and development models. We have conducted very substantial negotiations on the entire spectrum of our bilateral agenda, topical and international issues. Our relations are characterised by alliance and strategic partnership. We appreciate these relations and are committed to their comprehensive development. 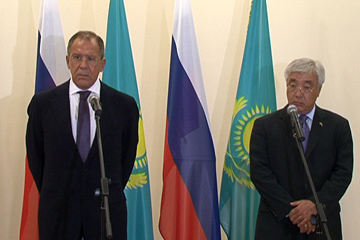 The agreements reached during the official visit of the President of the Russian Federation, Vladimir Putin, to the Republic of Tajikistan on the 5 October 2012 have entered into force today and are being implemented. They confirm inviolability of the Russian-Tajik friendship, laying firm grounds for further interaction in each and all areas, including political, economic, humanitarian and military. According to our tradition, we give tribute to the memory of the employees of the Ministry of Foreign Affairs and the former Ministry of Foreign Trade, who have laid down their lives for freedom and independence of our country. The day, which is celebrated as a Victory Day all over the world is sacred for us. The significance of this memory and celebration is growing years after year: human memories, sense of gratitude and inexpiable owing are supplemented by practical tasks to prevent the revival of the fascist ideology in Europe and in the world. 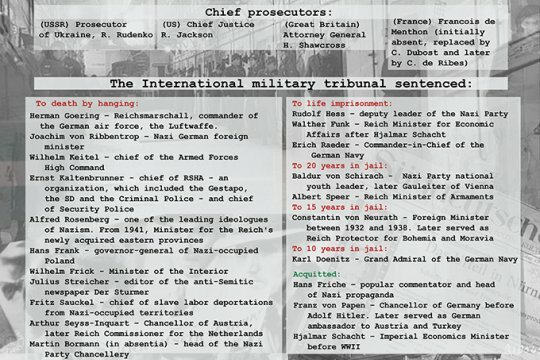 For many years, the European continent has been closing eyes as this ideology finds supporters, but its leaders recruit new followers, organise marches in honour of former SS warriors, who were recognised as criminals at the Nuremberg Trials. The events in these days are not just marches with slogans singing Nazi criminals; they are a living manifestation of fascism. 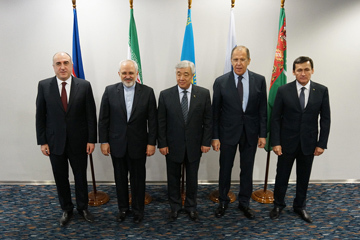 Foreign ministers of the Caspian states have held a conference in preparation of the Fourth Caspian Summit, which will be held this year in the Russian Federation. We reviewed the course of work on the Convention on the legal status of the Caspian Sea and stated significant progress, which was reached also in the process of today’s negotiations. I would like to sincerely thank my colleagues and all the experts for their contribution to this significant progress. We reviewed draft documents many of which have been developed and which are planned to be approved at the Fourth Caspian Summit. 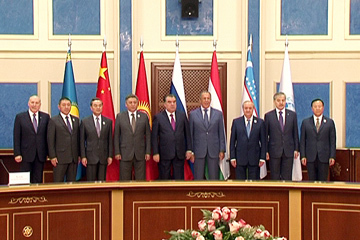 We devoted special attention to the implementation of the assignments accepted at the Baku summit in 2010. First of all, these are issues related to the delimitation of water spaces. Our positions became significantly closer on this topic. The second assignment from leaders of our countries is related to the measures to preserve the population of endangered fish. Today we discussed the progress of work on the respective intergovernmental agreement. As the standoff in the eastern Ukraine deteriorates into violence it’s up to world powers to step in and calm things down. Despite tough talk from Washington, the US, EU, Russia and Ukraine have managed to reach a framework to peace in Geneva. But will it be enough to avert a civil war? 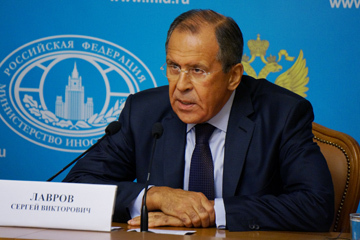 Sophie asks the Russian Foreign minister himself – Sergey Lavrov is on Sophie&Co today. 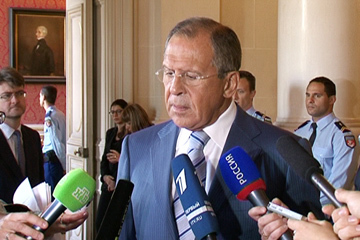 Sophie Shevardnadze: Sergey Lavrov, Russia’s Foreign minister, it’s great to have you on our show today. 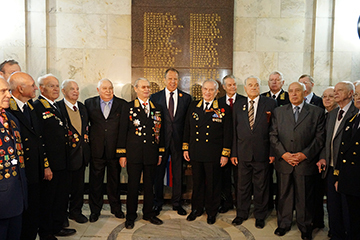 Sergey Lavrov: Thank you for the invitation. SS: So, just the other day Joe Biden on his visit to Kiev said that time is short for Russia to make progress on its commitments made in Geneva. What is expected of Russia?